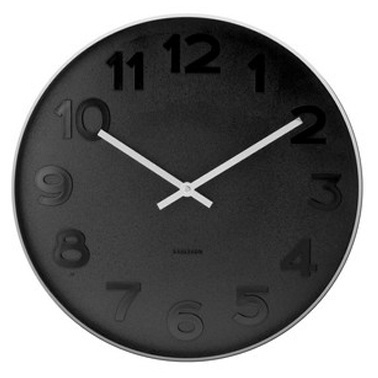 The matte black Mr Black Karlsson clock designed by Box32 is a contemporary take on the classic wall clock. Material: Shiny steel surround, plastic face with glass front. Steel hands.